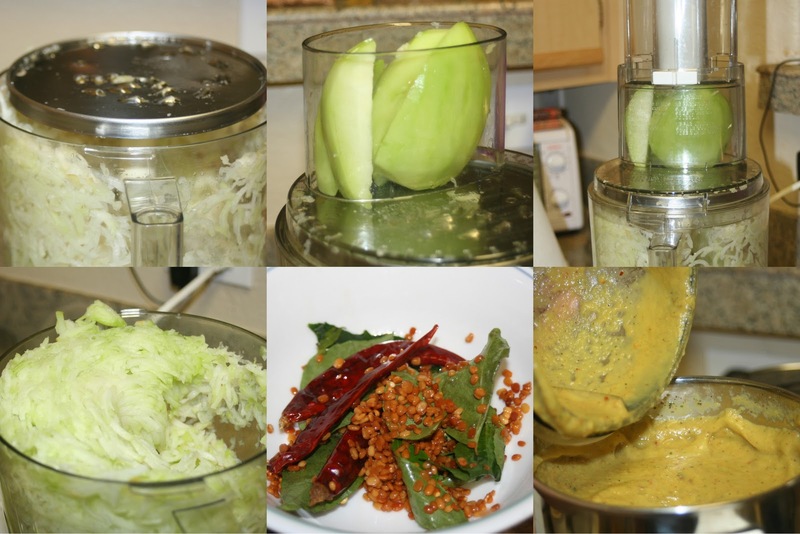 The recipe for bottle gourd or dudhi/dhoodhi chutney is more or less the same as the chow chow chutney that I posted a few days ago. 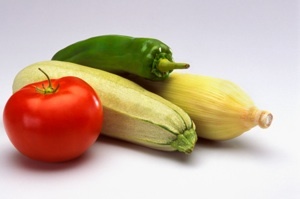 As for the bottle gourd, the cooked vegetable is cooling, diuretic, sedative and anti bilious. Here is the recipe. Peel the bottle gourd skin and chop the vegetable into chunks. Discard big seeds. alternatively, use the grater disc in the food processor. In a saucepan, allow the grated vegetable to boil in half cup or three fourths cup water. Add salt as it boils. Allow it to cook and turn off when the vegetable is cooked and all the water disappears. 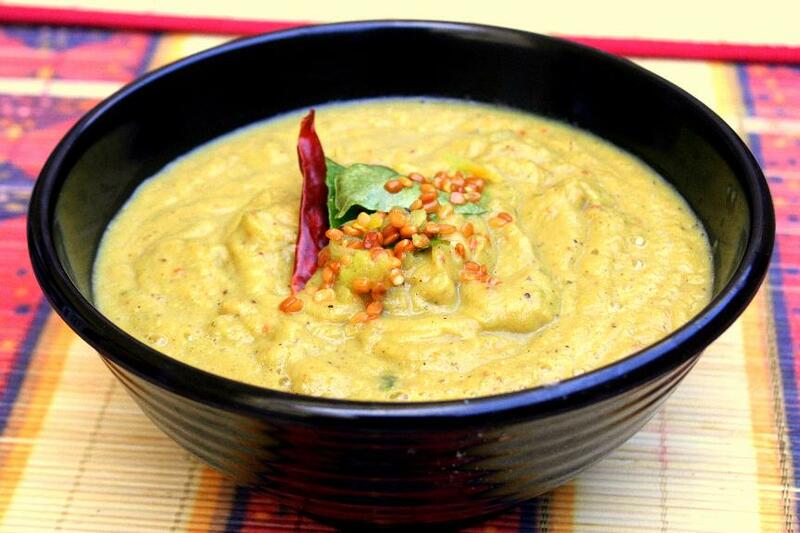 Meanwhile, roast the urud dal with curry leaves in low heat using very little oil until the urud dal is golden color. When the roasted dal cools down, reserve a few roasted dal and a couple of roasted curry leaves for garnish and grind the following using a mixer. Cooked vegetable, red chillis, turmeric powder, asafoetida powder, tamarind and the remaining roasted dal and curry leaves. Seasoning with mustard seeds is optional. The thogayal/chutney is ready. Garnish with urud dal and curry leaves. 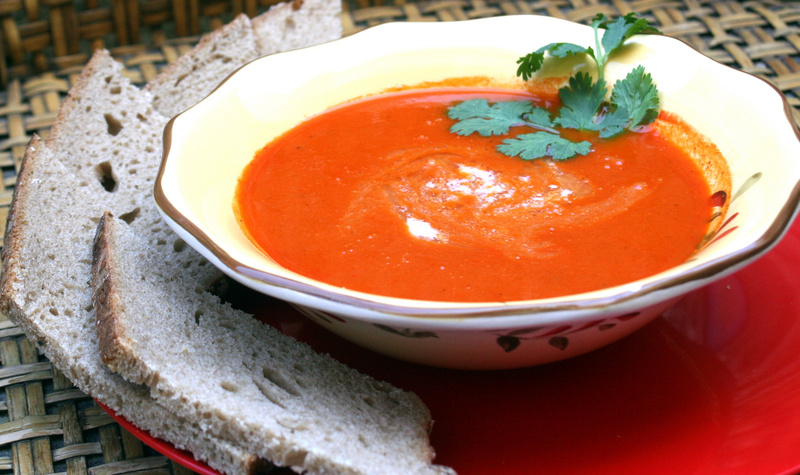 Serve it with rice or dosa. You can also grind a bunch of coriander leaves if you are using this chutney for dosa. Also, adding a spoon of sugar while grinding enhances the taste. A mustard seeds seasoning can be done after it is ground. This is a fantastic recipe from my dear friend Priya. It is a wholesome meal rich in carb, protein and fiber. The last time I visited them, she did this amazing dish and we all loved it. The recipe as such is simple and a great recipe especially for growing kids. Budding cooks and working moms would cherish this recipe. If you have had a really heavy dinner, this would be the best dish for next day brunch or lunch. Here is the recipe. Wash basmathi rice and moong dal two to three times and pressure cook together with salt and 5 cups water. Make sure the content is mushy. Heat oil in a big kadai and add mustard seeds, when it pops, add the urud dal, when it turns light brown, add the garlic, curry leaves and red chillis and sauté for a minute and then add the cut vegetables. Add 1 cup water, little salt and allow the content to boil. When it is boiling add turmeric powder and asafoetida powder. Mean while, stir the cooked rice and dal and keep it aside. 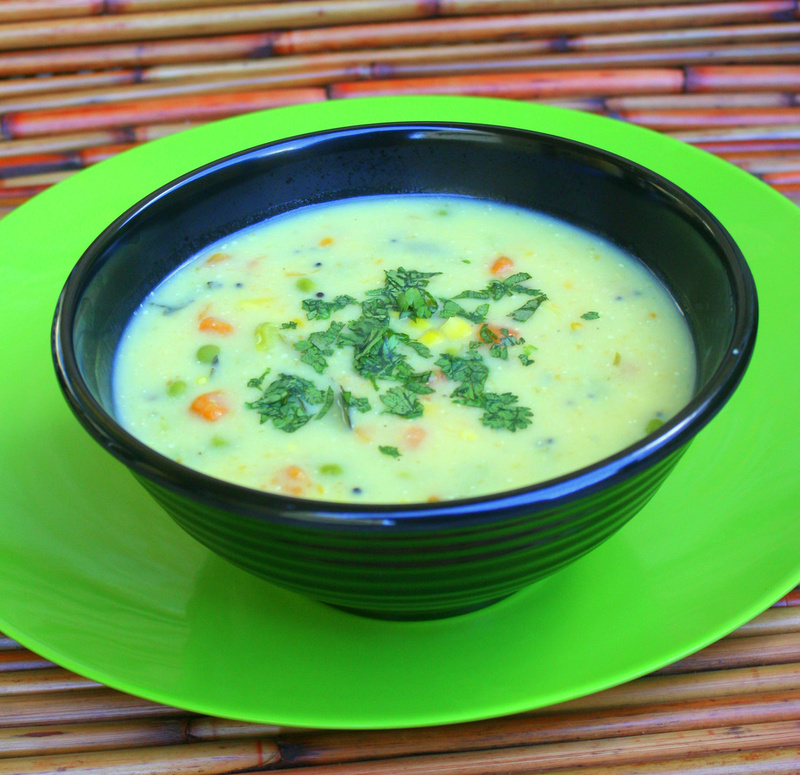 When the vegetables are well cooked, add the cooked rice and dal and pour a cup of water. Make sure the content is not too thick. Pour water if needed. Mix well and add the ghee. You can also garnish with ghee fried cashews. 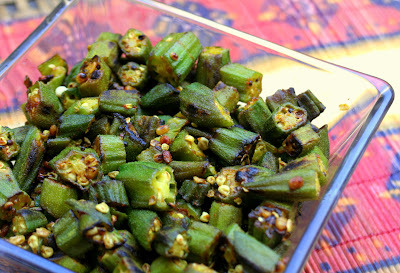 Serve this with a spicy pickle. 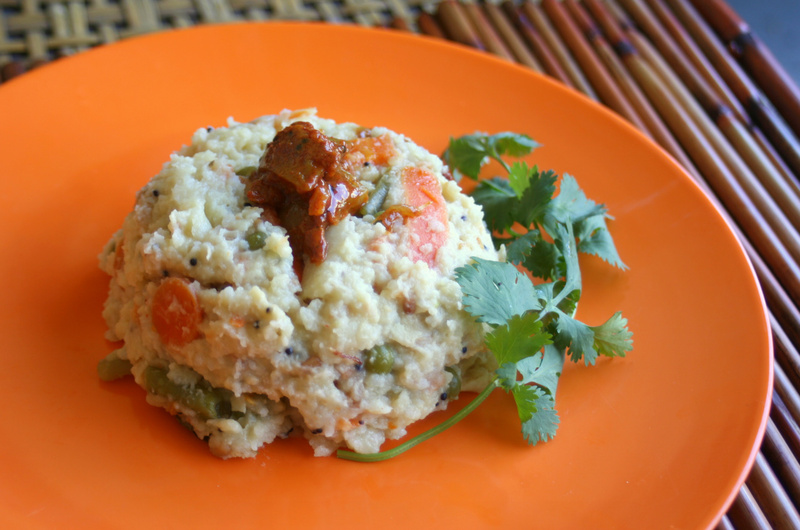 It is a wholesome meal with carb from rice, protein from the moong and fiber from vegetables. Of course a little fat from oil and ghee. A great dish for saturday brunch. The chayote or chow chow (as we call it), is a pear shaped squash, that can be used to prepare kootu, sambar, palya(curry or salad), raitha. For the first time, my kitchen has seen this versatile vegetable in the form of thogayal or othewise chutney. We loved this healthy chutney with rice. I had prepared a spicy dry okra curry to go with it. Though the dinner menu was simple, it was a feast. I used my Cuisinart 11 cup food processor to grate the vegetable. 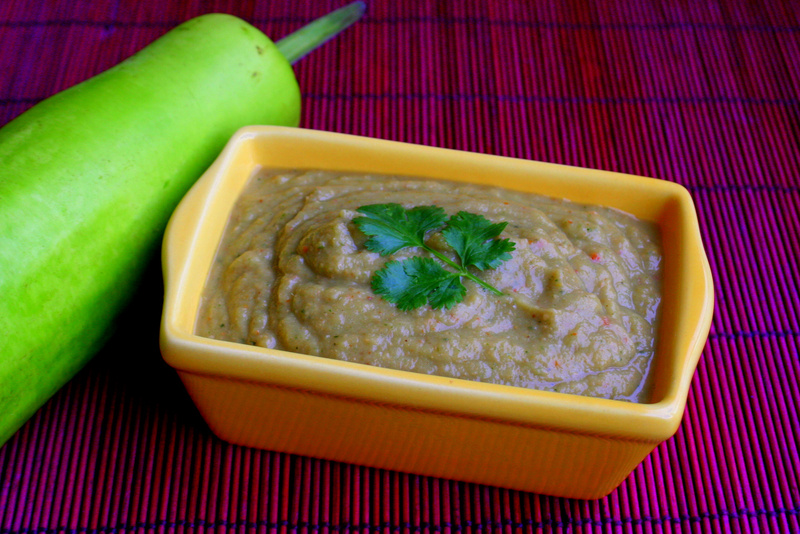 This 'no onion, no coconut' chutney will go well for dosa too. Here is the recipe. Peel the chayote skin and chop the vegetable into chunks avoiding the seed in the center. Using the grater disc in the food processor, grate the chayote chunks. Add salt as it boils. Allow it to cook and turn off when the choyote is cooked and all the water disappears. The thogayal/chutney is ready. Garnish with urud dal and curry leaves. Serve it with rice or dosa. I used CUISINART CUSTOM PRO 11 CUP FOOD PROCESSOR, that I got from Macy's. It is also available in Amazon. My best kitchen companion or grating, chopping and grinding. This is my entry to 'My food find event' hosted by Srimathi of Few minute wonders.